Home / Los Angeles Dodgers / M-V-Bellinger? I’m starting to buy in. The Dodgers won again tonight by a score of 6-5 over the Giants. 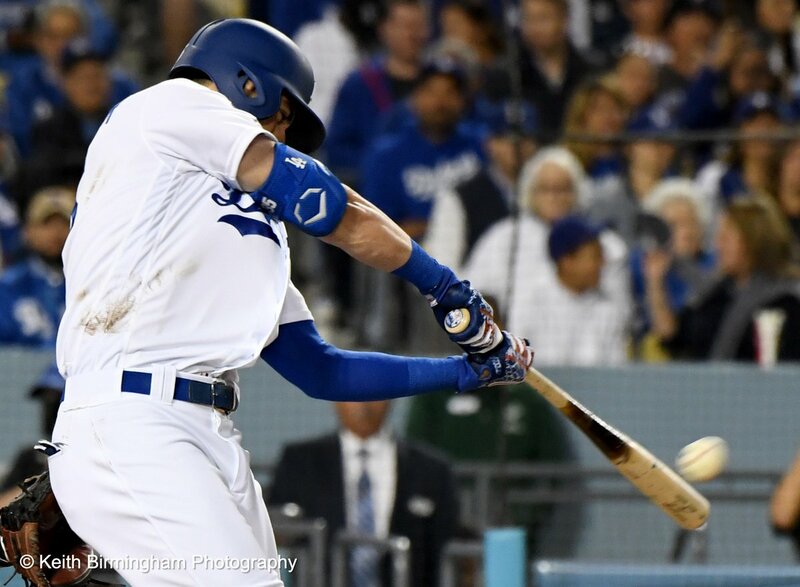 Moreover, Cody Bellinger hit a grand slam off Madison Bumgarner. It was not just any home run. The dude is flat out raking – he hit two other balls that just missed leaving the yard. Now, Bellinger is getting early-season talk for baseball’s MVP. I’ll admit, the guy looks completely back to 2017 form. The Hell with talking about Christian Yelich, is anyone watching Bellinger night over night? Back when Spring Training started, Brant Brown told me that we would see the return of 2017 Bellinger. He was right, thus far. More encouraging than the long balls, is Bellinger isn’t even taking bad AB’s right now. He looks completely in-sync, fouling off tough pitches until he gets one he can handle. He’s not expanding the zone, not trying to do too much with it. Until guys like Max Muncy, Corey Seager, and Justin Turner get on track; it would be awesome if Bellinger continues to shoulder the load. He’s off to an incredible start through six team games: 5 home runs, and 12 RBI.